I miss the long, light days of summer with their extended periods of predawn and dusky twilight. But, if there’s an advantage to the lengthy winter nights, it is the beauty and greater visibility of the moon and constellations. The sun’s lower angle allows the moon to be visible during some daylight hours of the winter months. The planet Venus also is visible high on the southern horizon in the late afternoon and early evening, and is referred to as the “evening star”. 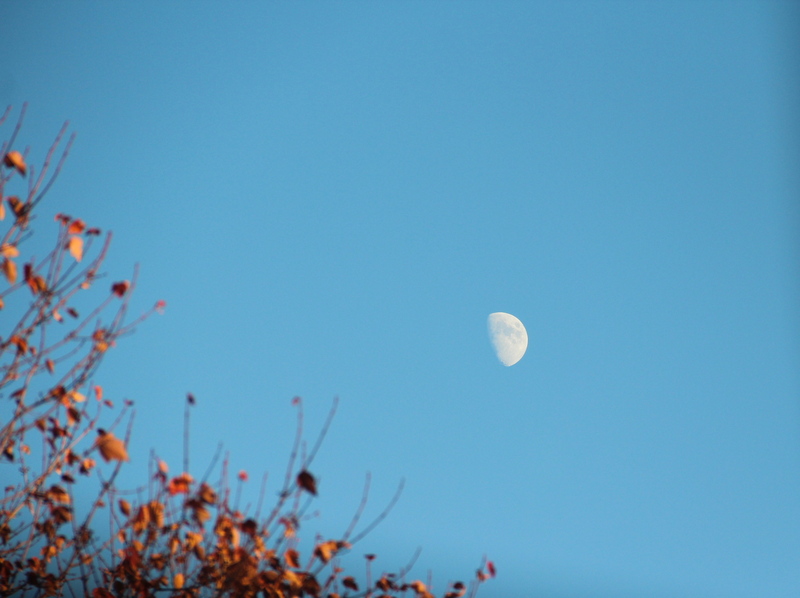 The November moon rises in mid-afternoon. A good resource to find out about what’s currently visible in the night sky — such as planets, constellations, comets, meteor showers and other heavenly objects — is Sky and Telescope‘s “This Week’s Sky at a Glance”. 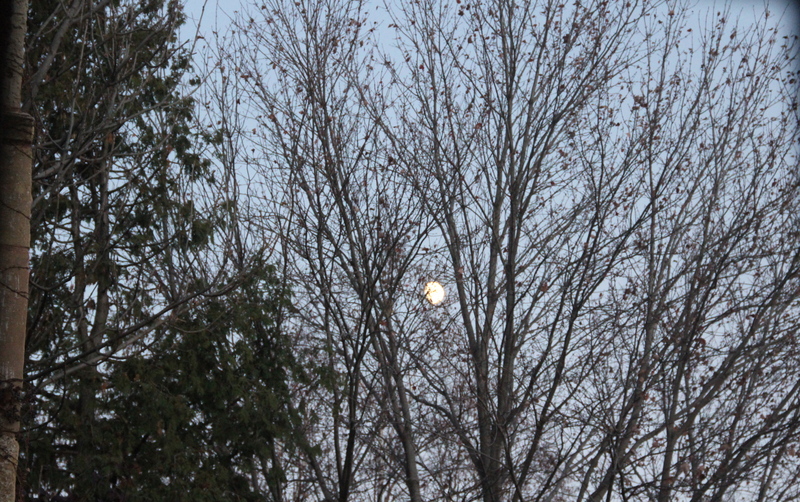 November moonrise through red maple (Acer rubrum). This entry was posted in Astronomy, Autumn, Moon and tagged Moon, Night sky, Venus. Bookmark the permalink.